In many ways the OLPC project in Paraguay is radically different to Uruguay's Plan Ceibal which I described in-depth last week and Peru's Una laptop por niño which I'll dive into next week. As already indicated in the introduction of this article series in terms of scale it's significantly smaller than the efforts in Uruguay and Peru. Whereas these countries have so far distributed 400,000 and 300,000 XOs respectively - and are already in the process of ordering more laptops - Paraguay currently has approximately 4,000 children with XOs. With an additional 5,000 pupils receiving XOs over the coming months the total reach of the project will increase to 9,000 which means that every child enrolled in primary school in the city of Caacupé, the project's main site, will have received a laptop. Another major distinction between Paraguay and the other two countries is that an NGO rather than the government is the main driver of the OLPC project. These two different approaches can be found both in the particular context of OLPC as well as ICT for Education projects in general. There's no doubt that these different starting points often have significant impacts on projects' approaches, goals, an developments. 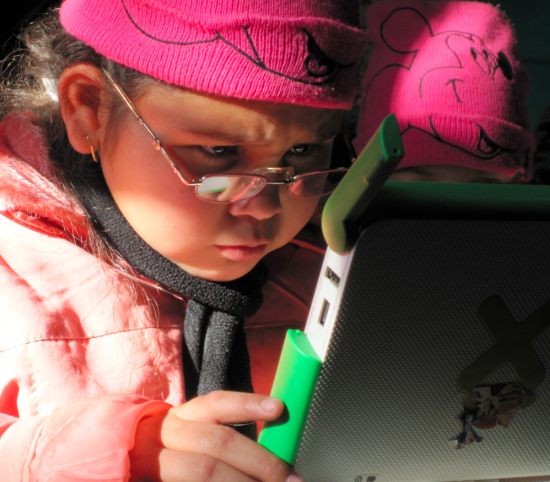 Read about these differences in: OLPC in Paraguay: Will ParaguayEduca's XO Laptop Deployment Success Scale? OLPC in Paraguay is part of an overview of OLPC in South America, a first-hand report of XO laptop deployments in Uruguay, Paraguay, and Peru by Christoph Derndorfer.